I saw a preview for this in a few movies we saw recently (MIB and Madagascar 3). It definitely looks interesting although I find it irritating when they advertise movies months and months before they come out. This movie looks so cute! I can not wait until it opens! 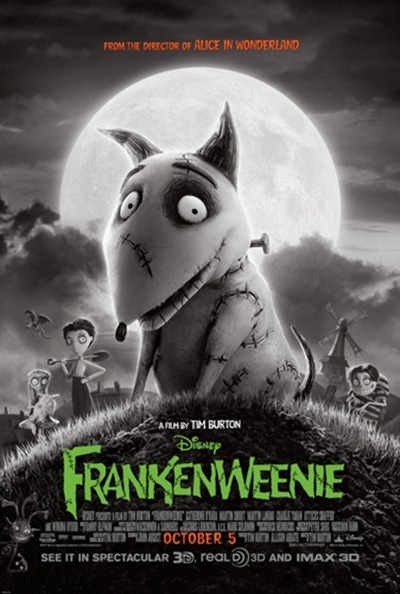 Tim Burton always makes very different and unique movies! It looks like a fun movie. Guess we will just have to wait till October. I”m not a big Tim Burton fan but this looks cute!! This reminds me of something my oldest would do lol, scary huh? I am so excited! I love Tim Burton! So excited for this. We are big Tim Burton fans! I’m so excitealways up for burton movi! I have been wanting to see this movie since it was first announced! I love tim burton. I cannot WAIT to see this. Tim Burtons movies are great for adults not so much for kids but very dark, funny and entertaining. Oh my gosh…I’m so excited…loooove Tim Burton!!!!! Thanks for the preview! This movie looks so adorable. I die every time I see the preview in the theatre!